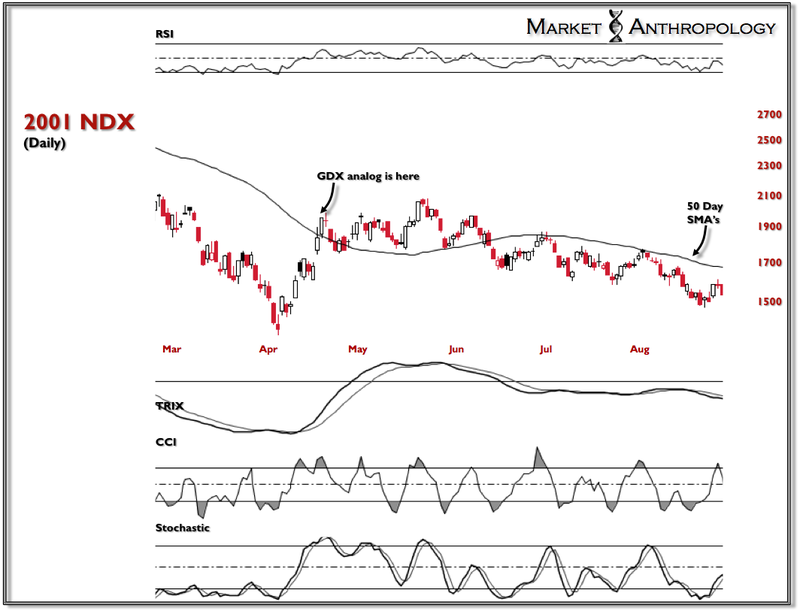 Here is an update of the GDX/NDX analog study, initially introduced a few weeks back. 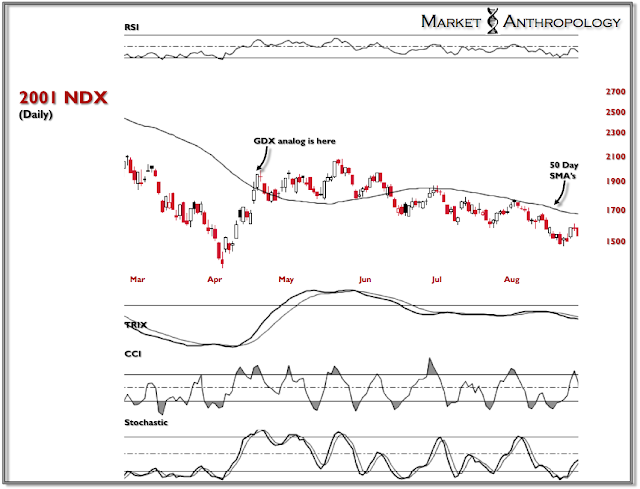 We now have a close above the 50 day SMA and an initial target that proportionally aligns with the NDX, circa 2001. 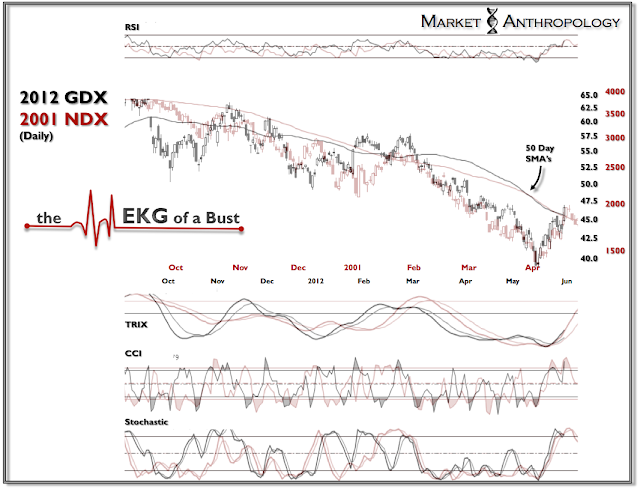 For a quick explanation of the rationale behind this comparison see (Here).